Ronald Peter Burch of Glen Rock passed away suddenly on Saturday, November 3rd, 2018. Ron was raised in Wallington, NJ, the son of Peter and Josephine (Szymanski) Burch. Ron was known for his patience, his kindness, and his generosity-- as well as his sarcastic sense of humor. He loved music, motorcycles, classic cars, grilling, taking photos, and the NY Giants. In his youth he rode a ‘73 Sportster and his friends and family recall him as the one who introduced them to all the best music. Ron married his wife, Cheryl, on July 26 (Mick Jagger’s birthday), 1980. Throughout the 38 years they were married, Ron and Cheryl were true partners through thick and thin, and they were so proud of the life they had built together. Their Glen Rock home, which Ron renovated himself, is a testament to his dedication and his natural ability to fix anything.Their daughter Kaitlyn (Kate) was born in 1989, and was the joy of Ron’s life. 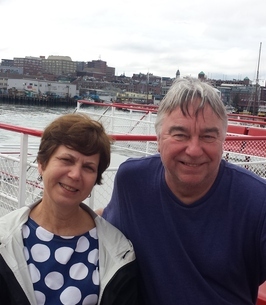 Ron loved visiting her when she went to college in New York City, and later when she moved to Maine, he and Cheryl took many road trips to visit and spend time on the water. Ron began his career in kitchen and bathroom renovation working alongside his father Pete at Burch Tile. 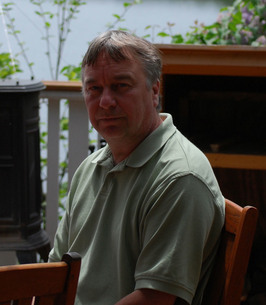 For the past 28 years, Ron worked for the Glen Rock Board of Education, first in maintenance and then as a computer technician. The Glen Rock community was Ron’s second family, and he was always happy to stop and chat. He was a fixture in the schools and around town, where everyone knew he could-- and would-- help them with anything. He especially enjoyed working with his younger coworkers and with the students. Ron knew how to fix everything, and he always took the time to help anyone who needed it, whether it was making sure kids could safely cross the street or rescuing a baby duck. He could be counted on to help family, friends, and coworkers with their home renovations and computer problems, and would always drop everything to give advice or come lend a hand. Ron was predeceased by his mother Josephine in 2017, and Tasha, his beloved Springer Spaniel, in 2015. He is survived by his wife Cheryl, his daughter Kate and her husband William Brewer, his father Peter Burch, his siblings Eileen and Joseph Aiello, Carol and Wayne Rosenberg, and Richard Burch and Lana, along with many other family members and friends. Ron will be missed by all, including his cats Huey and Boo. Visiting will occur Thursday, November 8th, 2-4 & 7-9 pm, with a brief funeral service at 8pm, at Warner-Wozniak Funeral Service, 80 Midland Ave, Wallington, NJ 07057. Ron will be privately cremated with a public memorial service held at a later date and time. 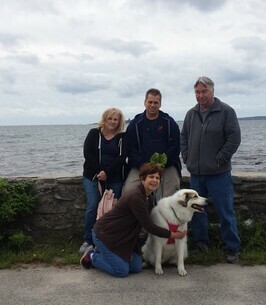 In lieu of flowers, please honor Ron’s memory with contributions to the Glen Rock Dog Park https://www.glenrocknjdogpark.org/) or Ramapo-Bergen Animal Refuge (https://rbari.org/). 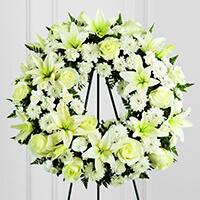 To send flowers to the family of Ronald P Burch, please visit our Heartfelt Sympathies Store. Whenever Ron walked into the library it always brightened my day. Ron always had a story to share with me and always listened to mine. I loved hearing about his dog, what show he was currently into and I always loved the updates about his daughter Kate. Such a proud dad! Ron will be missed, but not forgotten, because he taught me every time I saw him what it means to be a good friend. My deepest sympathy to everyone who knew Ron. He always had a smile for everyone in his path. Always took time to talk, and was always candid in his speech. We shared the same sarcastic sense of humor, so it was a treat to chat with Ron every time he was at Hamilton School. He will be sorely missed. My condolences to the Burch family. I am truly saddened for your loss. Cheryl, with our deepest condolences. Our thoughts and prayers are with you and your family. Dear Cheryl and Family, I'm so terribly sorry to hear about your loss. You are in my and my families thoughts and prayers. May 16, 2016 City Hall, NYC A proud day for our families!